WIRE HARNESS: For products which require the use of more than one cable, Microtex can design a wire harness that matches the exact needs of the situation. We will analyze the electrical and mechanical requirements, and create a circuit diagram. We then consider all the environmental aspects of the expected usage, such as abrasion, moisture, heat, vibration, and fire potential. We also factor in installation requirements such as flexibility and ease of connection. 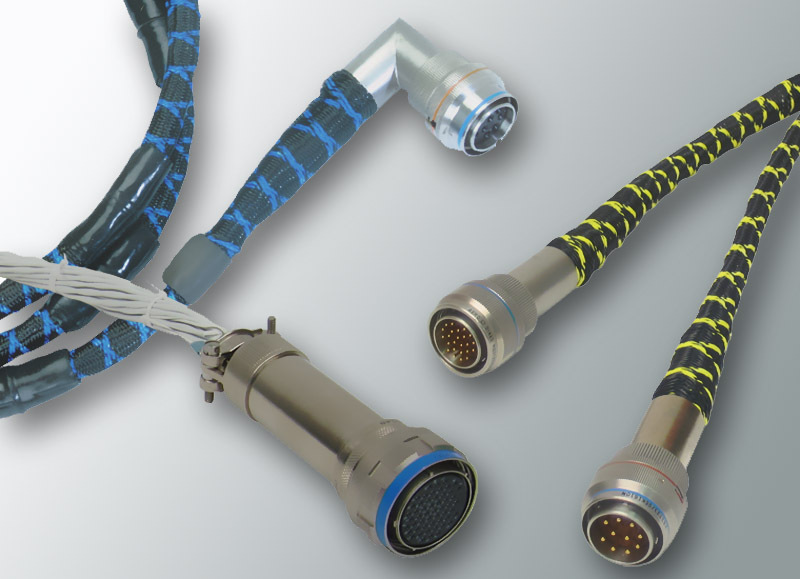 These analyses help us to make the best selection of wire gauges and coatings, terminals or connectors and their housings, and types of bundling or sleeves. Because most parts of the wire harness manufacturing process are still done by hand, we also consider production and testing issues. GOAL: Most of our existing wire harnesses are Class 3 (high performance/harsh environment electronic products). However, our skills in this area enable us to handle other types of wire harness design and production. Whether you have a specification that must be followed exactly, or you’re looking for an enhancement or completely new design, we have the expertise to create exactly what you need.